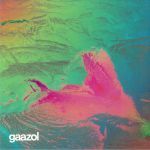 Review: Gaazol is a label from Lille, France created by Beunes William, Corton Axel and Molle Corentin. Previous releases have come from Japan's Yoshitaca and Ittetsu and Germany's Durrrred, but they really mean business on their third outing by French veteran Doubtingthomas - who's recently had a great run of releases on labels such as Eastenderz, Organic-Music and Dokutoku. The A side of "GAAZOL 003" features two mixes of "Triangle": the original is a slinky and hypnotic groove that's perfect for the warm-up, while Diego Krause's remix sees the Berliner go for a funked-up and bass driven rendition that's packed full of swing. Our pick of the bunch however, is closer "Wakarimasen" on the flip with its ethereal and atmospheric bliss.